3M™ SecureFit™ Protective Eyewear naturally adjusts the temples to individual head sizes for a customized fit to each person. This self-adjusting feature is possible through 3M’s proprietary Pressure Diffusion Temple Technology, a new design with no moving parts and nothing to adjust. Designed to diffuse pressure over the ears, the glasses automatically adjust to the head and facial features of the wearer. Weighing less than 1 ounce, the durable, snug-fitting, flexible nature of SecureFit offers a more comfortable and personal fit than old-fashion “one-size-fits-all” glasses that are rigid and unyielding in design. These glasses adapt to the wearer, rather than the other way around. The snug fit also keeps the glasses securely in place as the wearer looks up and down or side to side, eliminating the need for frequent repositioning of the glasses due to head movement. 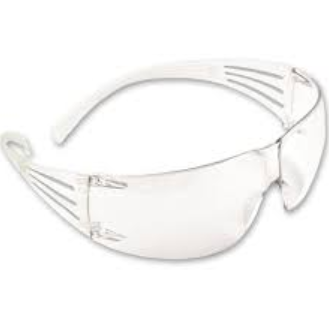 Plus, these safety glasses help eliminate the expense of stocking multiple frame sizes at jobsites to accommodate different people. “Shreenathji Welding & Safety Private Limited” is a Distinguished Channel Partners & Manufacturer of a wide range of Personal Protective Equipment, Fire Safety Products, Road Safety Products, Welding , Founded in the year 1985, we are a renowned company that is incepted with an objective of providing high quality products in diverse specifications within scheduled time period. Situated in Ahmedabad (Gujarat, India), we manufacture the products in accordance with set industry norms. Under the headship of “Mr. Nilesh Shah” (Director), we have gained huge clientele in our country. Our customers are benefited from unparalleled combination of leadership in technology, excellence in operation and flexibility in process. Our importing countries are U.S.A, Malaysia and Sri Lanka. Furthermore, our approach towards ethical business practices helps us to remain ahead of our competitors in this industry. In addition, we are committed to forge long term relationship with our clients by serving them the qualitative products as per their specifications. Customers value our rapid response, attention to detail and involvement in every project at the highest levels. Our mission is to provide our customers quality electrical equipment and exemplary services at industry leading prices. The products are brought into the market only after comprehensive research and stringent tests to assert industrial standards of quality and safety.